The Retailer 1.9 newest version : Released on April 17th, 2014. 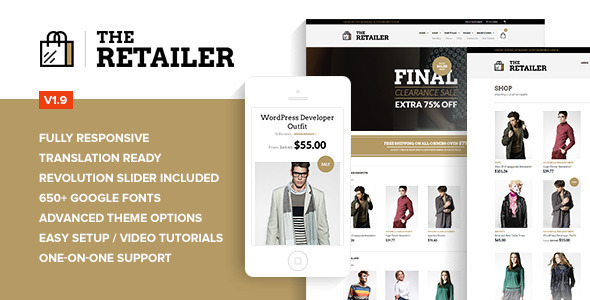 The Retailer is a Top Selling ThemeForest WordPress Theme. Use it to build a beautiful Responsive Online Store (WooCommerce), a Portfolio, Personal/Corporate Site or a Blog. Your customers will love with it.